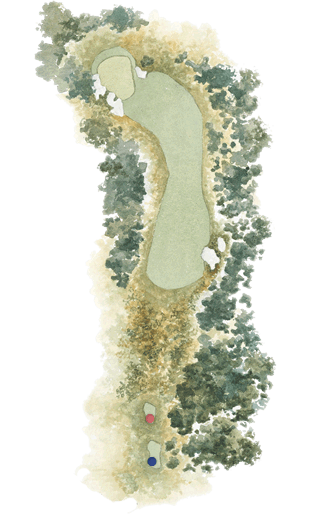 The thirteenth plays over a small hill and down to a green that slopes from noticeably from front back. When the green surface is hard, this is one of the most exacting approach shots on the course. The ideal tee shot flies long down the right side of the fairway so that the approach can be played at right angles to the swale at the front of the green.